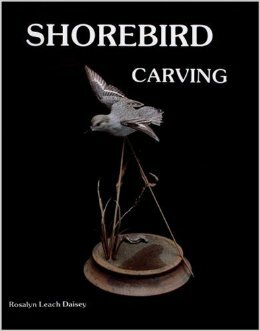 In Shorebird Carving Rosalyn Daisey shares her artistic insight and skill in a way that is at once instructive and beautiful. As with her previous works Songbird Carving and Songbird Carving II the reader will find step-by-step carving methods for creating these beautiful sculptures. Beginning with accurately detailed plans and drawings the techniques of carving texturing painting and mounting are explained with exquisite photographs and illustrations. The four projects featured are the Greater Yellowlegs the Semi-Palmated Plover the Dunlin and the Sanderling in flight. The basics of carving are covered in a way that is clear and succinct making this book invaluable to the beginner as well as the advanced carver.